POWERED LIGHTING FOR IN-LINE SKATES, ROLLER SKATES, ICE SKATES, AND FOR WALKING & JOGGING. Any reasonable offer will be accepted! 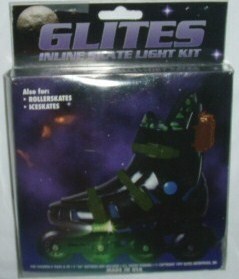 Detachable light kits (1 for each skate / shoe etc...) which easily adapts to roller blades, roller skates & ice skates in seconds (no tools needed). Choose from 5 different colors that glow all around each skate & at the same time, gives a white head light effect that shines approx 15' in front of you. Great for skating rinks or just in your neighborhood. I have had numerous positive remarks & inquiries from consumers on how they can obtain them. MAKE AN OFFER!!!! I am very motivated!!! 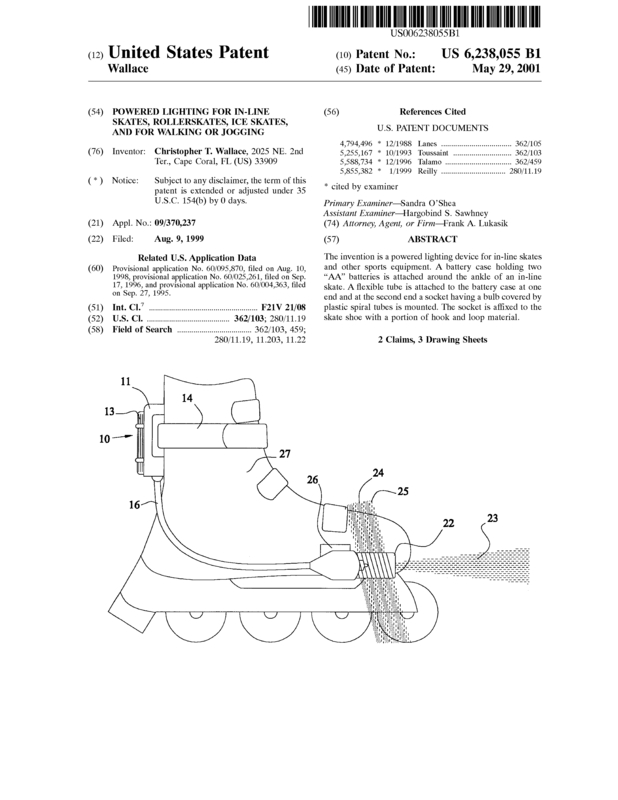 Page created at 2019-04-24 18:39:50, Patent Auction Time.